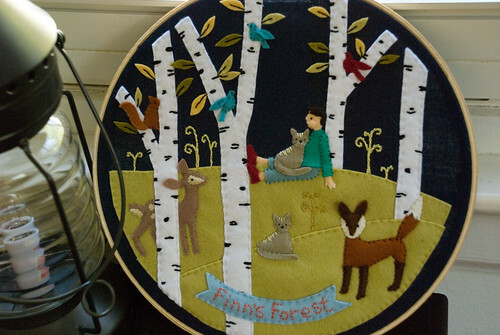 Finn's Forest, by Melissa Crowe at Little Pink House ... perhaps my favorite bit of handmade in the baby's room. The hoop has yet to find a permanent home on a wall because I love putting it in front of Finn while he plays on his tummy. He will stare at it for quite a long time. Notice the two cats? 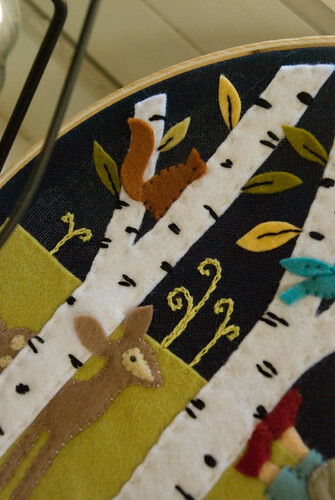 Those are wool felt versions of our Amelie and Timoun. 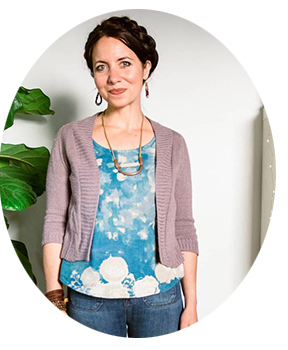 If you would like to give wool felt applique a go, check out Melissa's sachet tutorial. Thank you, my dear, for making us a cherished heirloom.